Did you know that your business has a birth chart? The moment you commit to your business idea and either buy your web domain, submit a formal business registration, or publically launch your idea to the world, an energetic blueprint is created that basically mirrors the life source of your venture. When I first started Soulshine Astrology on August 15, 2016 at 11:21 pm, I wasn’t entirely sure where I was heading with it, but I knew I was being led somewhere exciting that would make the journey to figuring everything out extremely worthwhile because it just felt write. Now that I have been working away at this for over a year, it all seems so obvious & clear looking back. But when I first started, there were constant decisions that had to be made to get me where I am today. From choosing my branding colors to creating the logo, and deciding on what in the world I would write in my e-mail newsletters… on TOP of learning how to hone my craft behind the scenes and provide a beautiful & meaningful experience for everyone I come into contact with along the way. I think a lot of businesses go through this confusing experimental period in the beginning. The funny thing is that I didn’t yet realize that there were some clues hidden in my chart and my business’ chart that could help lead the way! If I had known, maybe it would have brought me a greater feeling of peace and direction in those early start-up days of experimenting with all of the moving parts until I figured out what felt right. What the soul of your business looks like – what does it need to be creatively fueled and what is its bigger purpose in the world? How can you maximize your branding & marketing strategy to reach the right people? What are some of the greater goals & challenges associated with running this business? What is your overall mission statement? When is the best time to launch something big that will help bring success & awareness to your mission? As you can see, astrology is not just an amazing tool for personal development, but also for building, growing, and maintaining a budding business as well. This is part of the reason why I get SO excited about my job as a Career Astrologer! Above you’ll see the actual chart of myself (on the right) and my business (on the left). I was being called to step into my true calling on a much bigger and more exciting level as I began realizing more of what I was meant to do. This is due to Jupiter crossing over my Career Line, a rare event that only happens once every 12 years. When it happened for me this time around, I started to get very excited about the possibility of becoming an astrologer! Even rarer than that, Saturn was crossing over my Lucky Star and my Rising Sign – also known as my identity and the work I’m really meant to do in the world. This only happens once every 29.5 years, and combined with Mars (which comes to this spot only once every 2 years), it was literally like I was being forced to ignite my true identity in a way that would bring incredible luck to me. Soulshine Astrology is a ♌ Leo and it all began when the Sun was in my zone of Business (go figure!). As a Leo, my business longs to shine brightly as an example of what is possible for others. It also strives to lead others by presenting creative ideas to the world. However, due to the presence of an asteroid called Pallas Athena nearly opposite to the Sun, the joys of creation are BEST used when spreading New Age ideas & knowledge to my community to help them succeed. It’s not enough just to be bold & shine brightly, but to do so in a way that benefits others.. and that’s really where the magic happens for everyone involved! Keep in mind, also, that I am a Super Pisces! In a lot of ways, Pisces and Leo are VERY different. Pisces almost prefer to hide themselves away because they can be so sensitive and empathic to how others are feeling and prone to taking things personally. But Leo is all like, “This is who I am. This is what I’m here to do. Here is what I have to say. Love me!” So in a way, this business is helping me move past my self-doubt to proclaim my inner magic on a greater level which can be very, very good for busting through my personal fears, too. I also know, from my own chart, that my soul mission is all about reflecting the magic I see in others back at them so they can see how magical they are and how great their potential is, and this fits in with what my business is all about, too. The soul of my business, therefore, is all about shining brightly, sharing the magic, and stepping it up in the world! When it comes to the art of branding, I look to the Sun, but also to the Rising Sign. Not everyone knows the Rising Sign for their business because you would need to have the exact time it began. You do NOT need to know the exact time in order to gain an insightful read on your business. I just happened to know mine because my Paypal receipt from purchasing my domain recorded the exact moment I pressed the button to commit to my business idea! In looking at my branding, Soulshine Astrology is a Leo which is often associated with shimmering gold and luscious purples, but its Rising Sign is in Taurus, which is about creating harmonious beauty that provides a feeling of stability to others. In terms of marketing & communications, I look at Mercury, the planet of communications, and I look at the sign that is in charge of the 3rd house of Social Networking (if I have the exact start time). 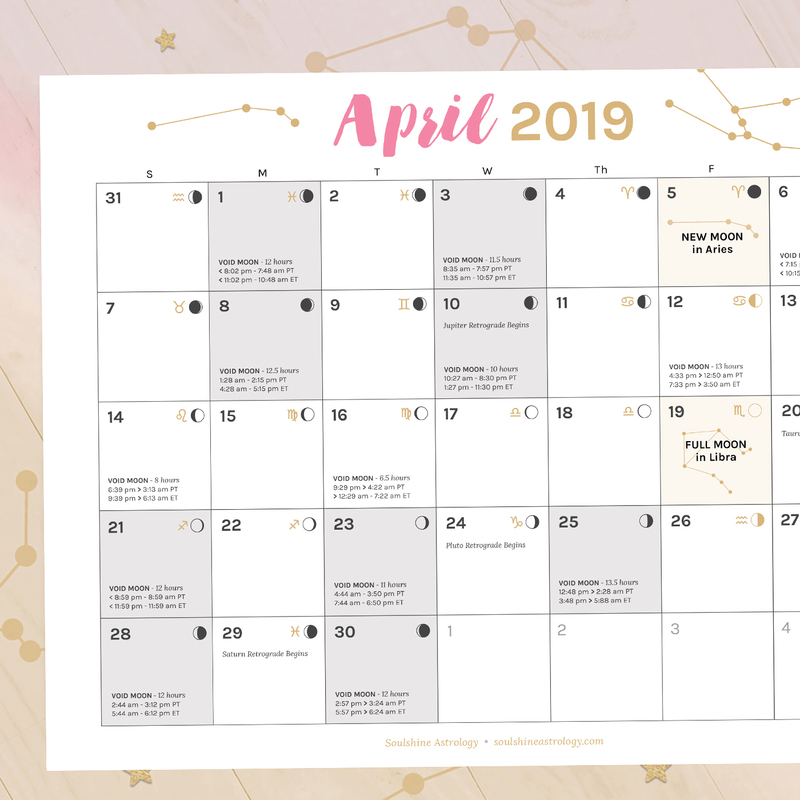 On my business’ chart, the ruler of the social networking zone is in Cancer, so my message will best get across when I am using it to nurture others and inspire their creativity with a warm, loving presence that shows them I care about them (which I do!). My business’ Mercury is in Virgo, which is all about serving others in logical ways and analyzing small, intricate astrological details to get to the root of what really matters the most. It’s also about using language in simplified ways to paint a precise picture of the practical result I want my work to create for the people I come into contact with. Beyond just branding and marketing, there are also unique goals and deeper challenges every business has to face if they want to continue to grow their business into one that can become more and more successful and even more helpful to its clients & customers over time. Part of my business’ bigger mission is to create an efficient structure out of vast amounts of ancient astrological wisdom (this is due to Pluto in Capricorn in the 9th house of Higher Education & Spirituality), and to present it all in a way that makes the New Age more accessible so we can all feel more connected to one another and this crazy universe we live in together (this is from my business’ Career Zone in Aquarius & Pisces). Furthermore, one of the biggest challenges anyone faces in their life (or career… if we’re talking about a business chart) is the balancing of their North & South Nodes of the Moon. In a human being, the South Node is the point of karma – it has to do with your natural talents, but it also has to do with how you went a bit overboard in your past life and are now having to learn to step out of your comfort zone and find more balance, whereas the North Node symbolizes your Future Destiny. This is the point you are meant to grow into in order to bring more luck, success, and fulfillment into your life. The reason why this matters is because, when you learn to embrace your North Node of Destiny, everything takes off in extraordinary ways! When we’re talking about a business, I think of it simply as a challenge you are meant to overcome through the impact you make on others through your work. Soulshine’s South Node of Karma is in Pisces nearly aligned with Neptune, whereas its North Node of Destiny is in Virgo perfectly aligned with Venus. In everyday language, this means that I am meant to take my natural abilities and my dreamy, idealistic ideas about spirituality (and my own love of serving others by helping them feel happier & re-inspired) AND learn to balance this with practical, down to earth, logical solutions that help others find a legitimate and tangible sense of harmony in their life. This can take the form of helping them earn more money or even just embracing a bigger love for living their everyday life – hence Career Astrology! Whoa! Right? This is some deep stuff, you guys. Not only that, but this is clarity at its finest! Sweet, sweet clarity. Isn’t it ahh-mazing? Can you see why I love this stuff? I mean, it’s probably a lot more interesting to ME than it is for you because it’s my business, but just the idea that you can figure out all of this big picture stuff just by looking up the exact date you started your business is still astounding to me to this day! And I repeat… you don’t even need to know the exact time to get these kinds of insights, but it’s cool if you do. It’s such a lovely feeling when everything comes together! And once you have gotten to know the soul of your business, your decision-making process comes from a much deeper and more meaningful level. It makes the choices you have to make on a daily basis as a business owner SO much easier because you thoroughly understand the overarching mission you’re meant to step into. 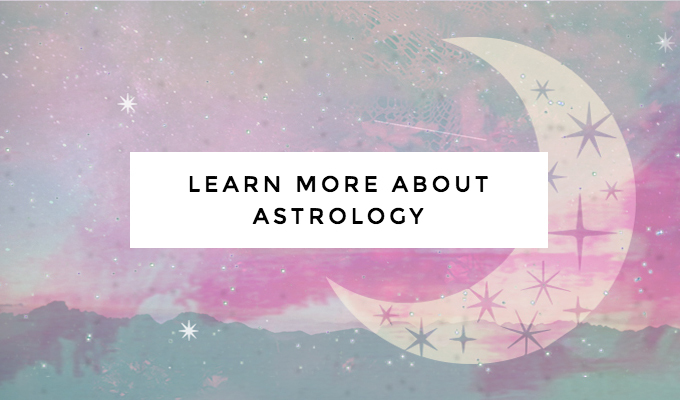 As you can see, astrology is not just for personal development anymore – it can be incredibly helpful for your business too! >> Interested in uncovering your business’ cosmic blueprint? This is something we can do together in a Career Alchemy Session! Not only will you discover what your own deeper soul purpose is all about, but I can compare your chart with your business’ to give you incredibly meaningful AND actionable, practical and strategic guidance as you work to grow your business in the future. 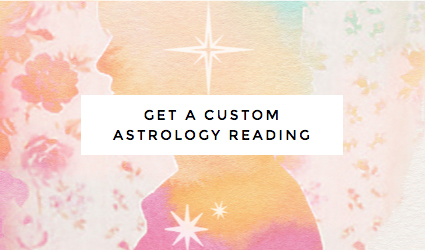 >> Learn more & book your reading here!